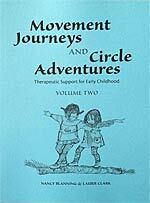 Your search for movement journeys and circle adventures returned the following results. Complete with nursery rhyme movement, bean bag games, seasonal suggestions, how to prepare the environment and what is happening “under the surface” with movements and activities, this book is a must-have resource for anyone working with younger children. 8 1/2″ x 11″, 2016. However you think about it, this is a book of genius and a gift to young children. The games are delightful – teachers and parents will have as much fun as the children. And, they are brilliantly thought out to include movement forms that will bring the children into the world with strength and balance. This is a truly essential resource of the caliber of AHE’s Resource Teacher’s Developmental Exercise Manual. Use it. Love it.